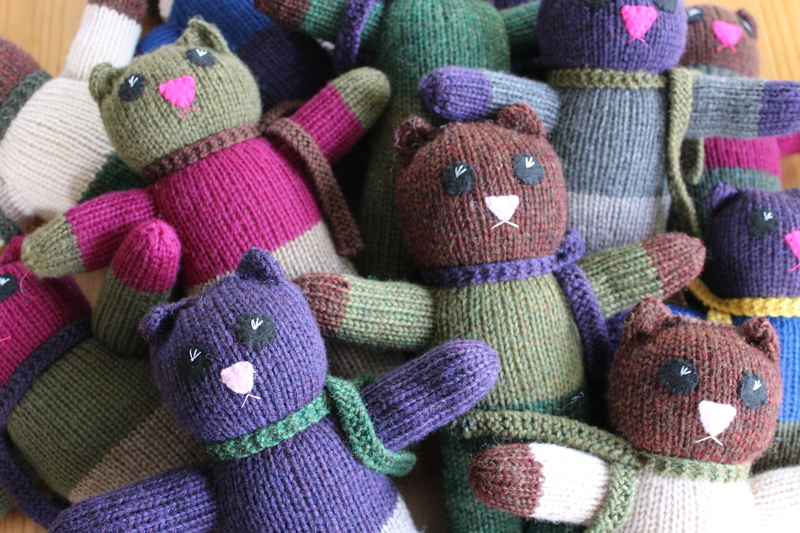 I’ve been a little preoccupied, lately (surprise surprise), so it’s taken me a couple weeks to realize that, even though I finished off all my bears at the end of the Olympics, I still hadn’t sent them in. 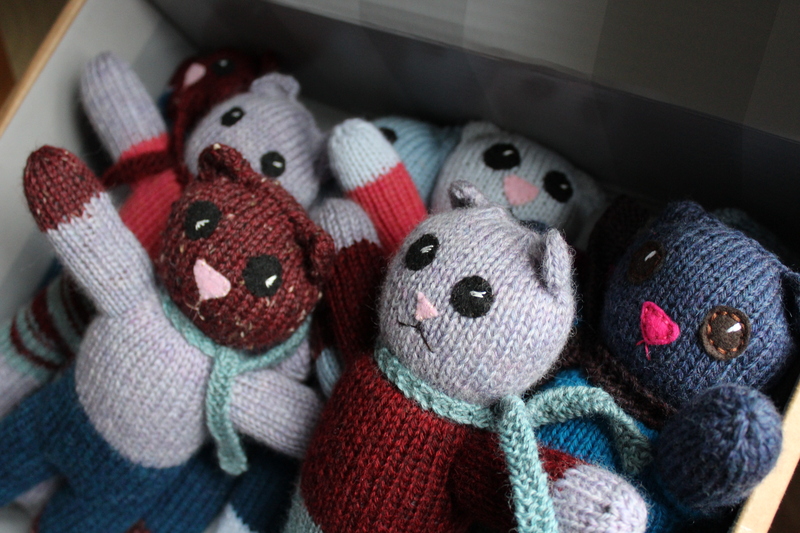 It doesn’t matter how many bears you finish, they’re not doing anyone any good, if they’re just sitting in a box in my studio. So, I dug through my stash of old boxes (what? Don’t you have a stash of old boxes, too? Am I a weird hoarder? ), and found one that was just the right size for me to smoosh in all of my bears. 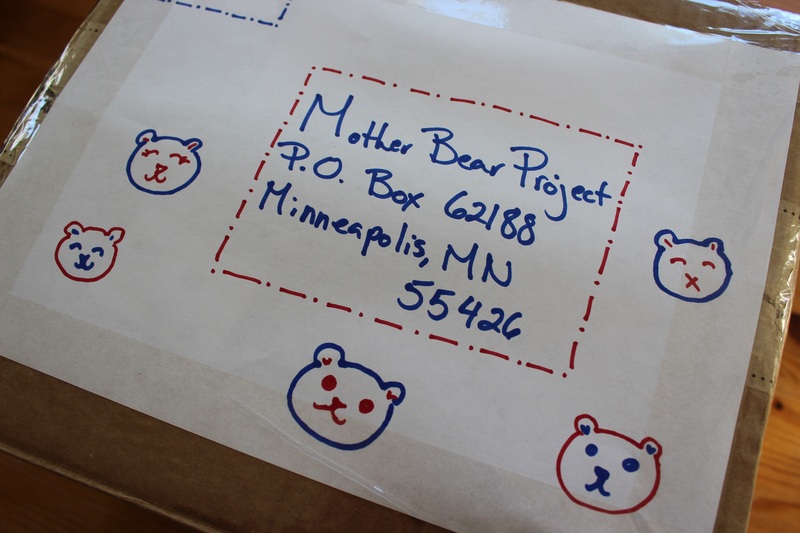 I added a little note, plus shipping and handling to help the bears get where they are needed, and slapped a big old shipping label on the top (complete with poorly-drawn teddy bear faces- there’s a reason I’m a knitter and not an illustrator). Now, I’m off to the post office! I feel a little bad for repeatedly forgetting about these guys, but I’m glad they’re finally on their way! 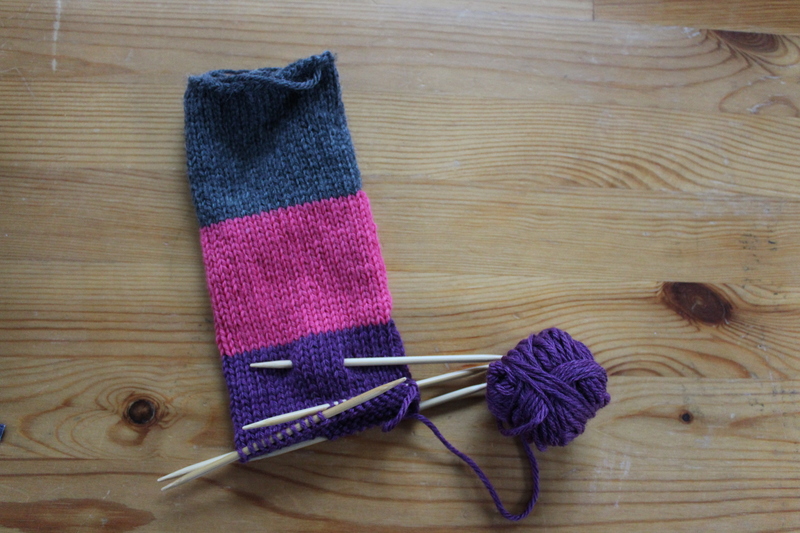 Have you finished any charity knitting lately? This entry was posted in Knitalong and tagged bear, bears, charity knitting, knititng, mother bear, mother bear project, teddy bear, toys on March 30, 2018 by onemilljellybeans. It’s a little sadder today than yesterday… the Olympics are over. No more curling, or alpine skiing, or hockey on TV. Not even any more figure skating or biathlon. I guess I’ve just got to go back to my usual TV diet of Law and Order and cooking shows… sigh. But, I did get one more big project done! My bears from last year! A dozen bears! They’ve been stuffed, assembled, sewn up and appliqued/embroidered (which always takes more time than I expect). I’m pleased with how they turned out, and more than pleased with the fact that they’re finally done! They’ve been sitting staring at me, unfinished, for months. (OK, they weren’t staring, because I hadn’t gotten it together enough to give them eyes until this weekend, but you understand.) 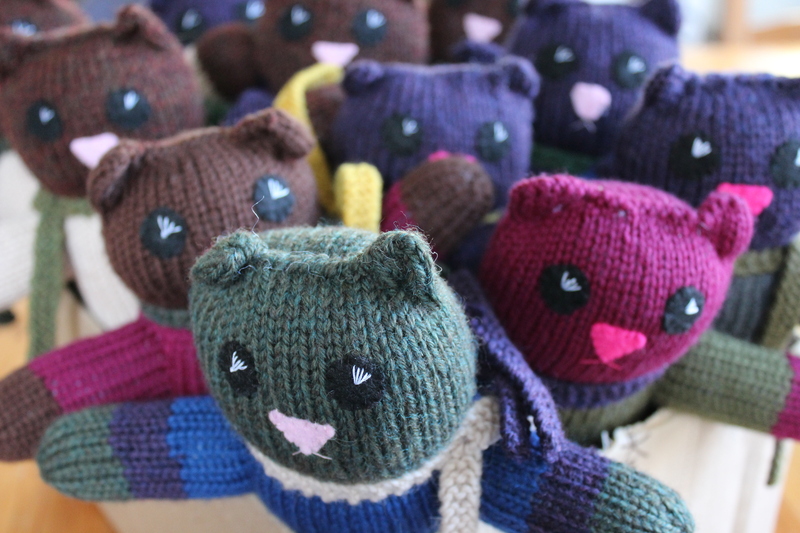 Three big projects done during the Olympics- a nice, big baby blanket, a cozy scarf (that had been haunting me for years) and a dozen lovely bears. Not bad for two weeks! How did your Ravellenic Games turn out? This entry was posted in Knitalong and tagged bear, bears, knit bears, knitting, mother bear, mother bear project, ravellenic, ravellenic games, ravellenics 2018 on February 26, 2018 by onemilljellybeans. So, I’m not doing a great job with my New Year’s Resolution to complete one mother bear every month this year. So far my MO has been to do nothing with my bears for a good three or four months, then panic and knit up a bunch of bears in a weekend. And this month has been no different. 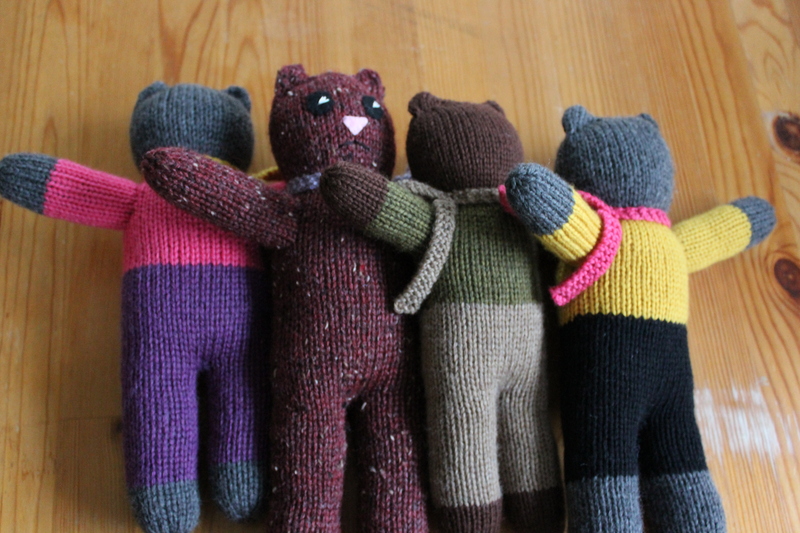 I spent last weekend sewing up the half-dozen bears I had knit and stuffed back in June, and the first half of this week has been focused on knitting up three more bear bodies (I still owe an arm and a half to finish my September bear). None of my bears have faces yet, but that’s OK. I’m currently planning on doing all the faces in one fell swoop over the holidays. That seems like a nice Chrismassy activity- sewing faces onto charity teddy bears while listening to Christmas carols and munching on gingerbread. It feels very much like something out of a book from the 1940s. 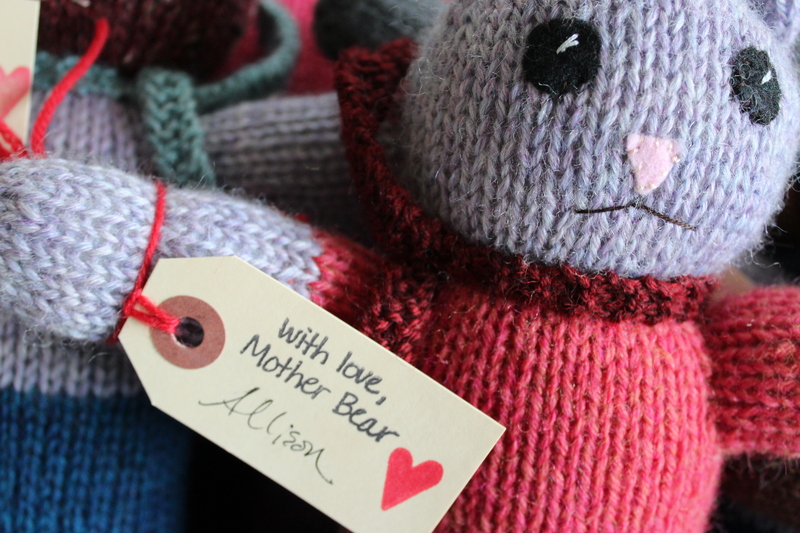 Have you been making any Mother Bears? Or are you busy doing other charity knitting? This entry was posted in Knitalong and tagged bear, bears, charity, charity knitting, knitting, mother bear, mother bear project on September 20, 2017 by onemilljellybeans. These bears are going to be the death of me. There’s just so many! I thought I’d done this before, but I must not have made this many all at once. Because stuffing and finishing six bears takes. For. Ev. Er. I put on a nice long movie last night and sat down with my box of bears and a big bag of fluff. I figured two and a half, maybe three hours would be plenty to get all the bears put together- maybe even enough to put on faces. It took another half hour to sew up one bear- closing the top of the head, attaching the arms and making the neck. That means I’ve got another two-plus hours of work ahead of me before I even start sewing on faces. Ugh! Have you been working on anything lately that’s taken longer than expected? This entry was posted in Knitalong and tagged bear, knit, knit bear, mother bear project, teddybear on June 12, 2017 by onemilljellybeans. So, I made some resolutions at the beginning of the year, and I’m not doing a great job following up on them, if I’m honest. 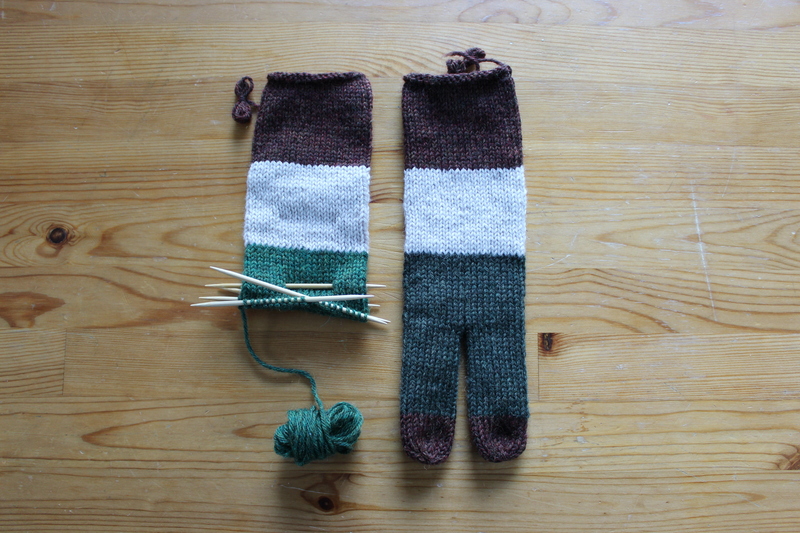 -Knit at least 1 bear per month. I suppose it’s not a big deal, after all it’s just a goal, not a real deadline, and it’s just something I’m doing on my own. But, still. It’s the principle! I just finished knitting another project for work, so I have a little time “off.” I guess I know what I’m doing this week! Are you still making Mother Bears? What goals do you set for yourself, and do you do a good job keeping up with them? This entry was posted in On My Needles and tagged goals, knit bear, knit mother bear, mother bear, mother bear project, resolution on March 22, 2017 by onemilljellybeans. 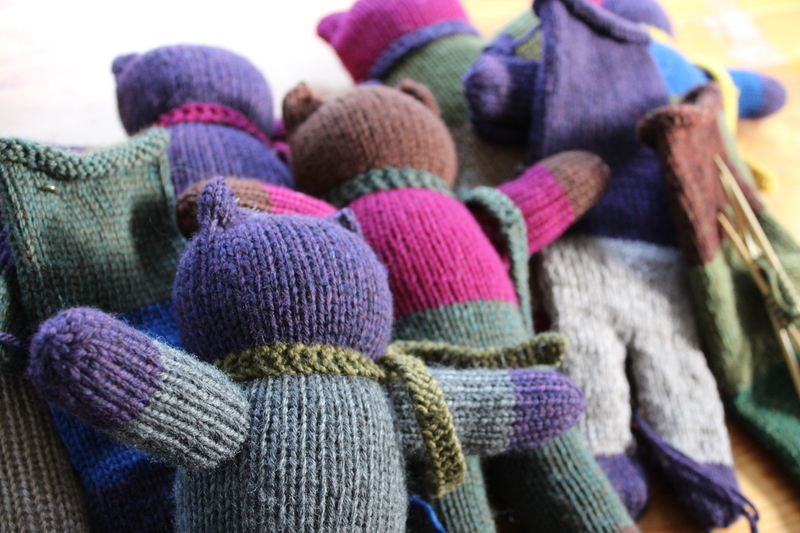 It’s time for my bears to get all packed up and head up north, then to be sent out to all the corners of the world to meet up with their kids. 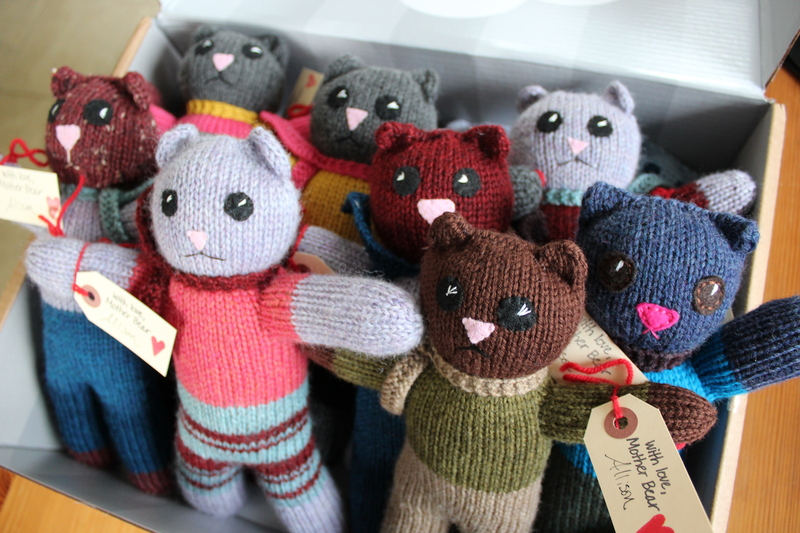 I’ve managed to finish 11 bears this year, all with leftover yarn and sweet little (grumpy) faces made out of felt. 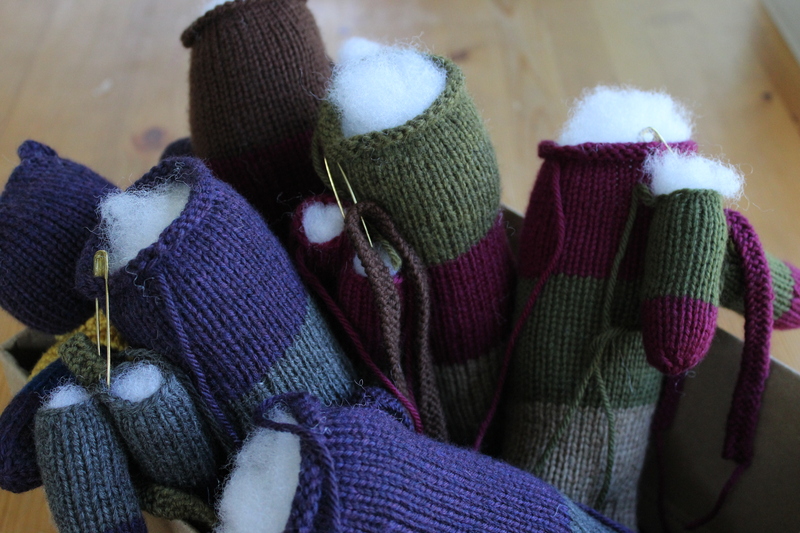 I’ve tied the little tags onto their wrists, and they’re packed up snug to fly to Mother Bear HQ in Minnesota. Once they get there, I’ll keep my eye out on their photo gallery to see if I can spot these little guys when they finally get where they’re going. 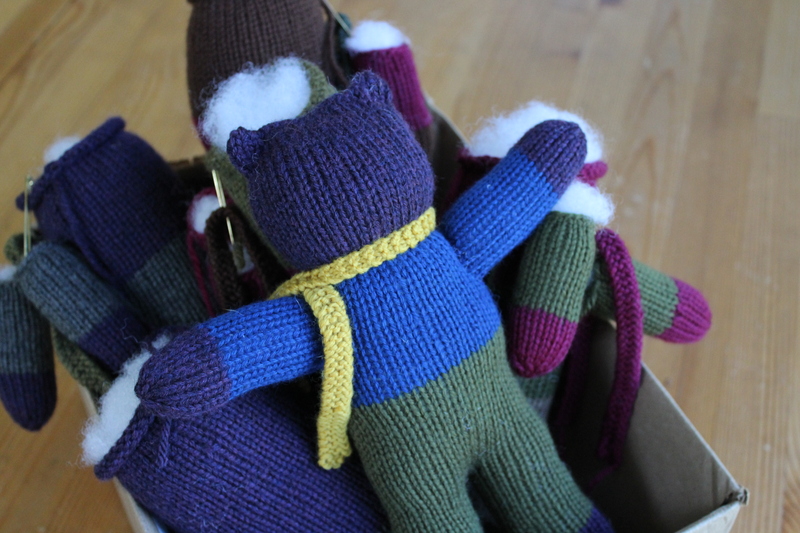 Now I have to find another box and start making more bears for next year! This entry was posted in Knitalong and tagged bear, bears, finished, finished project, knitting, mother bear, mother bear project, sent, teddy bear on January 6, 2017 by onemilljellybeans. I’ve got bears coming out of my ears over here! I was up to my elbows in stuffing, and my couch is covered in little bits of leftover yarn from weaving in all those ends. 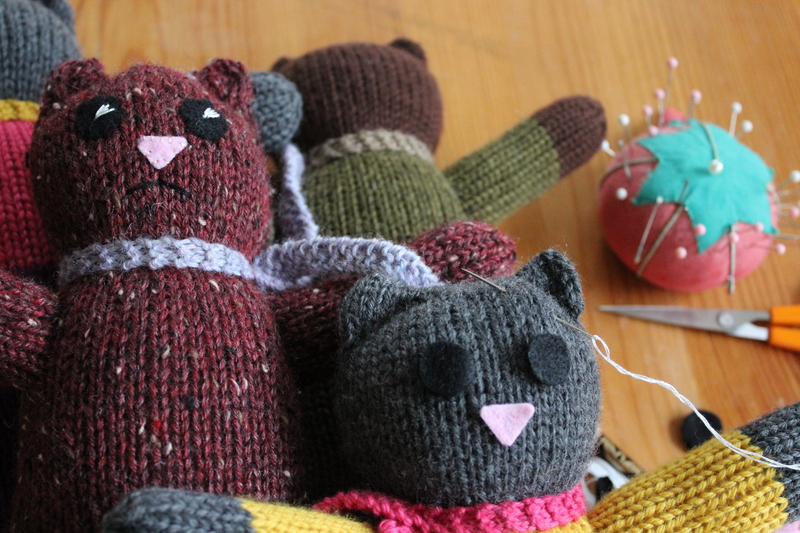 That’s the problem with knitting up a bunch of bears at once to “finish later.” It seems like a great idea as the bears pile up. But, then you have to spend six hours stuffing and seaming, which I do not love doing. And this morning I’m putting on faces. Cute little faces with bits of felt and embroidery floss. I’m dozens of bears in, and I still can’t figure out how to make a non-grumpy bear. Oh well, what can you do? They’re still pretty cute. When these guys are finished, I think my bear box will be full and ready to send off. I’ll be sad to see them go, but happy knowing they’re going to be well appreciated. Have you been making any bears? I’d love to see yours, too! This entry was posted in Knitalong and tagged bear, bears, knitting, mother bear, mother bear project, teddy bear on December 19, 2016 by onemilljellybeans. My goal was to finish my Christmas knitting this weekend, and after a weekend-long knitting marathon, I did just that. Barely. I may have been up on Sunday night until 11:00 weaving in ends and blocking. And the last piece of knitting might still be quite damp, and sitting in front of a heater with a fan blowing on it (behind closed doors so that Ollie won’t decide to take a nap on it). But, other than that- everything is done! My goal was to make at least 10 bears this winter, and I’ve been so busy with presents for my family, my bears have been neglected until now- I think I have 8 or so in my bear box in the closet. (What? You don’t have a bear box in your closet?) So, I’ve got to get cranking. Luckily, since I just finished up my Christmas knitting, I’ve got lots of half-skeins of yarn laying around, perfect for making bears. 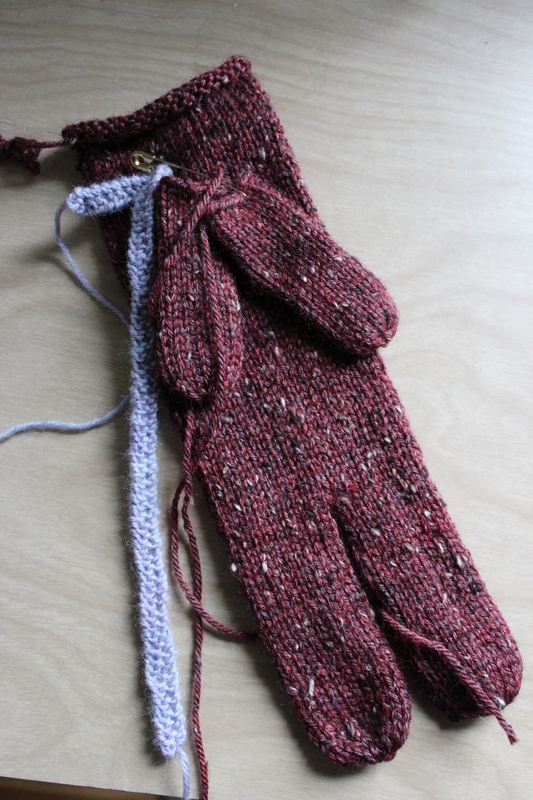 And, sure, you could use whatever worsted weight yarn you have at hand, but I like using Knit Pick’s Swish Worsted. It’s pretty inexpensive (especially if you wait for one of Knit Pick’s big sales), it comes in a ton of colors, it’s lovely and soft, yet is surprisingly strong and washable. Also, I happen to have a bunch hanging out in my stash. How have your bears been coming along? 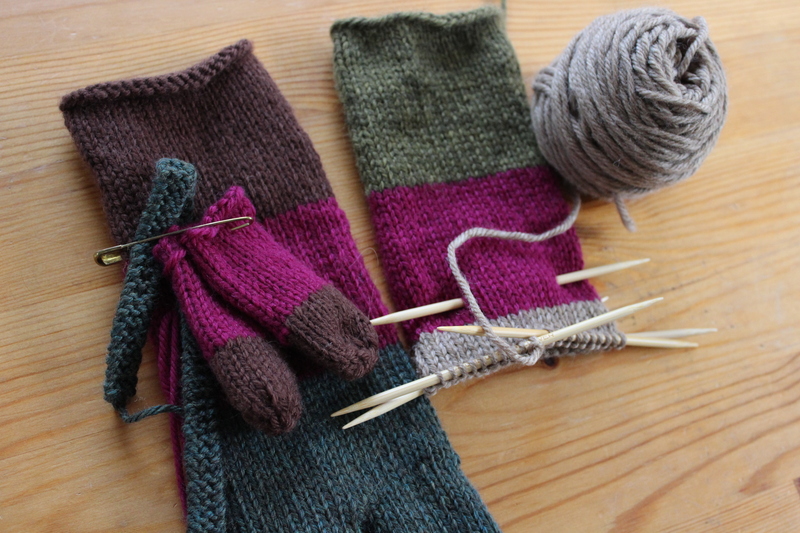 Have you been using up your leftover Christmas yarn, too? This entry was posted in Knitalong and tagged bear, bears, leftover, leftover yarn, leftovers, mother bear, mother bear project on December 12, 2016 by onemilljellybeans. Well, not really. They’re just in a box in my closet, but it’s a pretty big box. And right now, it’s full of 8 bears. (Well, 8-and-a-half.) 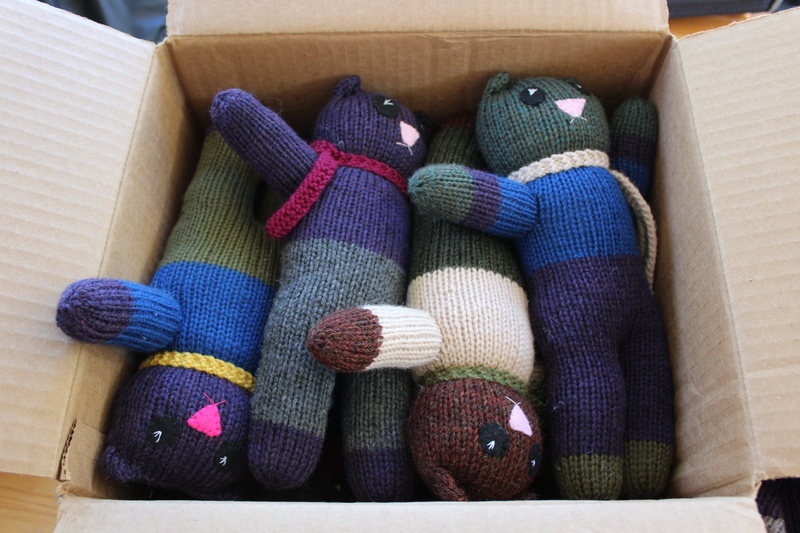 I don’t have anything insightful to say about these bears, I just think they look cute, all packed up together. At least they look cuter than the “half” bear. I’ve finished knitting her, but she still needs to be stuffed, sewn up and embroidered. Right now she looks kind of like a crappy glove for someone with two fingers and no thumb. But soon enough she’ll look as cute as her brothers and sisters. Are you making any bears? Join me! I promise they’re fun! This entry was posted in Knitalong and tagged bears, charity, charity kitting, knitting, mother bear, mother bear project on November 28, 2016 by onemilljellybeans.